A shot of First Street in Montgomery with LaNette’s on the right. 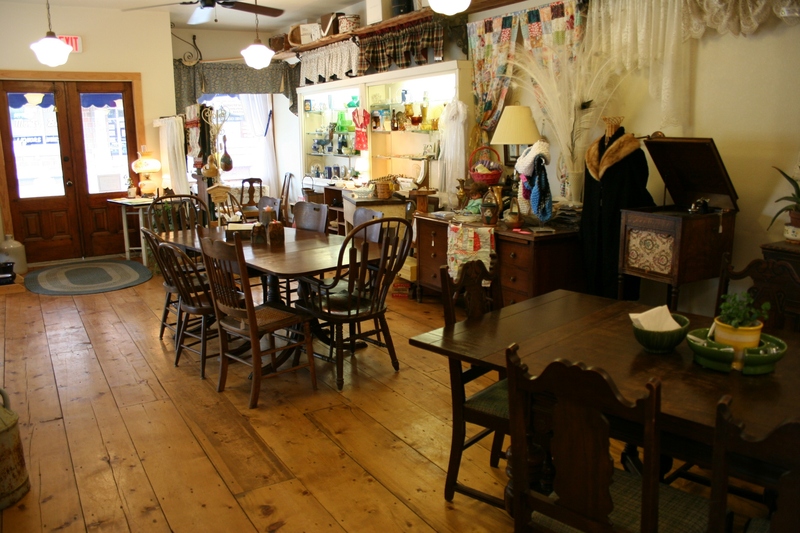 YOU NEED ONLY STEP inside LaNette’s Antiques ‘N Lace to experience her passion for antiques, window treatments, chocolate and coffee. Shoppers can relax with a cup of jo or other treat at a table and then buy the table and chairs if they wish. Note the beautiful wood floor. LaNette bought pine planks at the lumberyard to stain and seal in creating the vintage look. Also notice samples of LaNette’s custom window treatments. 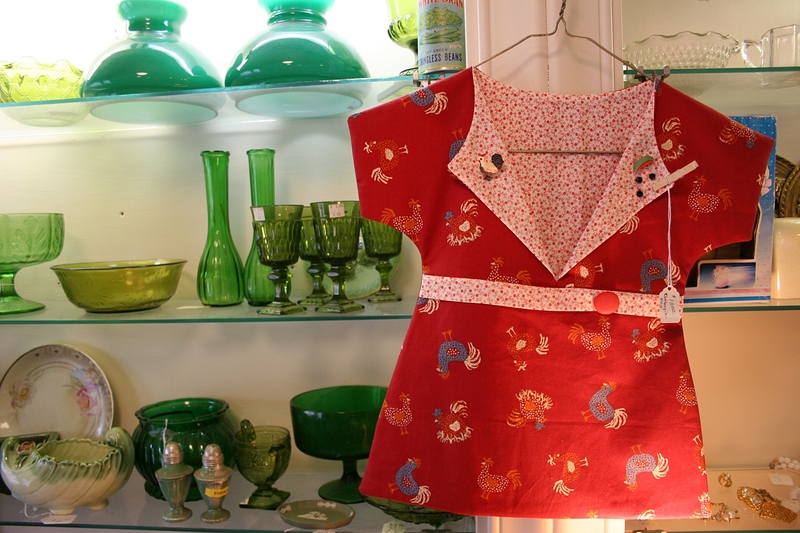 They’re all there in her inviting corner shop in downtown Montgomery which features everything from her customized window treatments to local artisan products to antiques and collectibles, plus coffee, tea, ice cream and chocolate. That’s LaNette behind the counter. 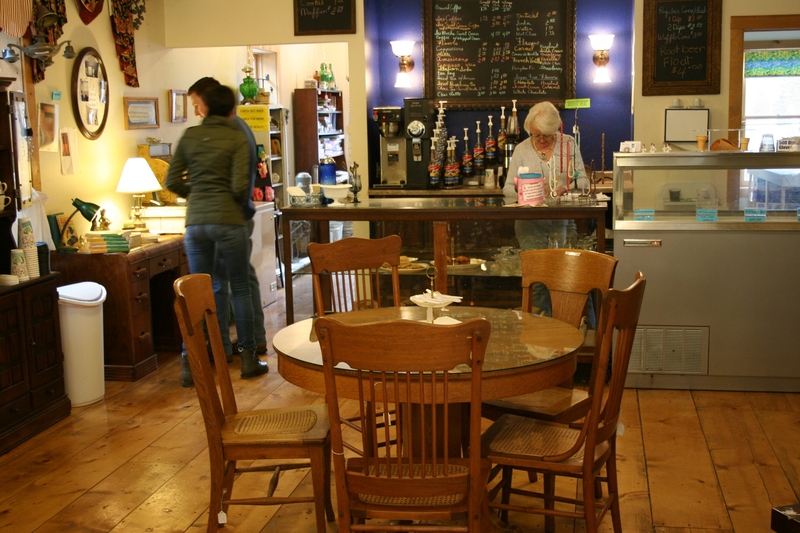 Add owner LaNette Kuelper’s friendly welcome—she’s a genuine people person—and you’ll feel like you’ve known her for years, although you’ve only just met her. 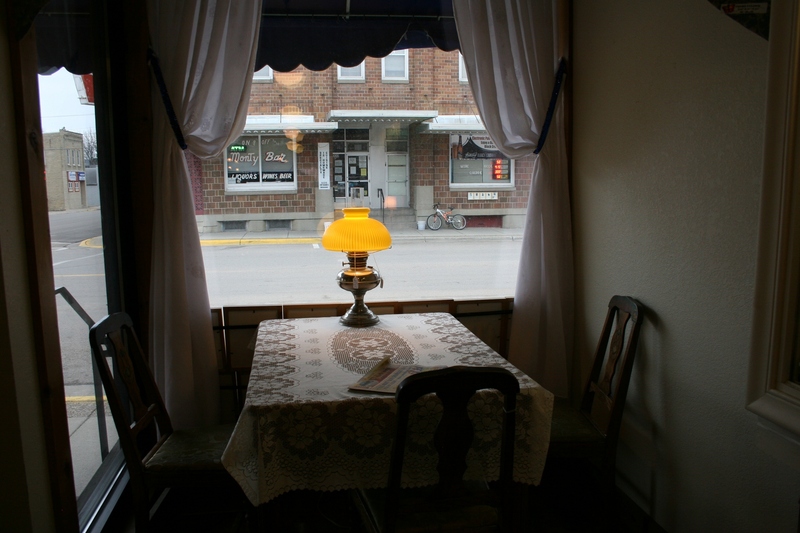 Shoppers can settle in and watch activity along First Street in this cozy corner of LaNette’s shop. 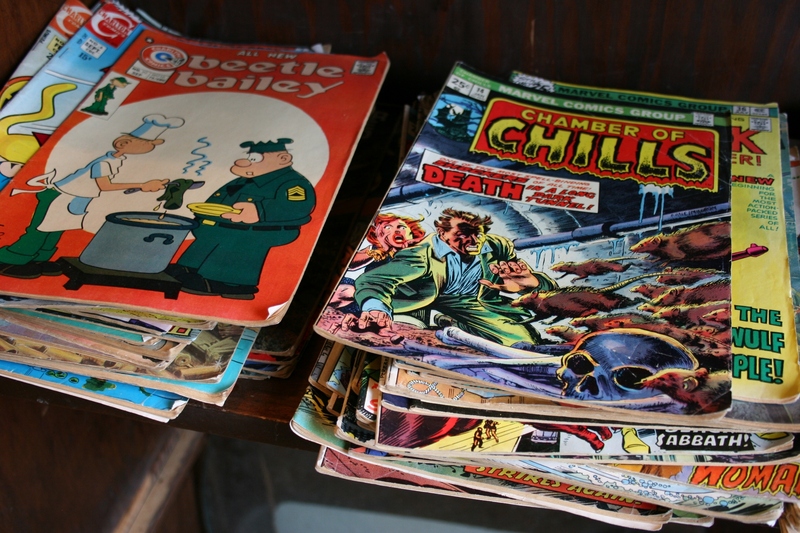 Colorful comic books found in a tiny back nook at LaNette’s. 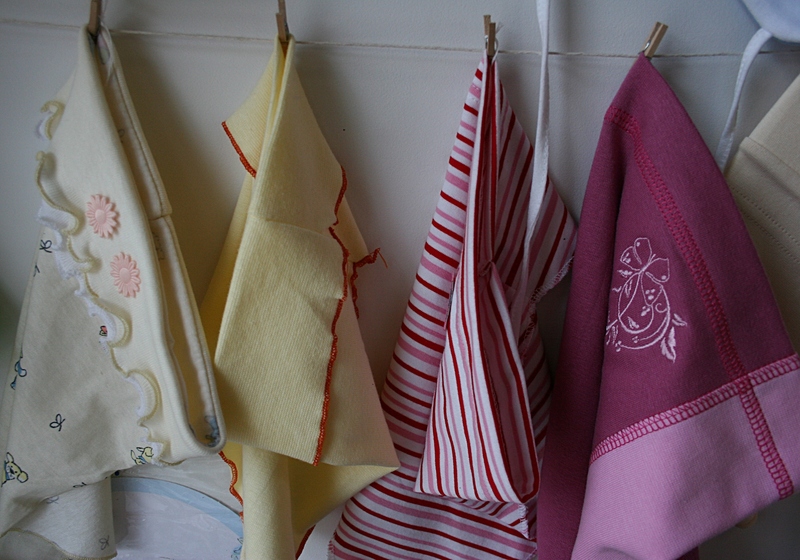 Vibrant handcrafted clothespin bags and glassware are among the merchandise offerings. 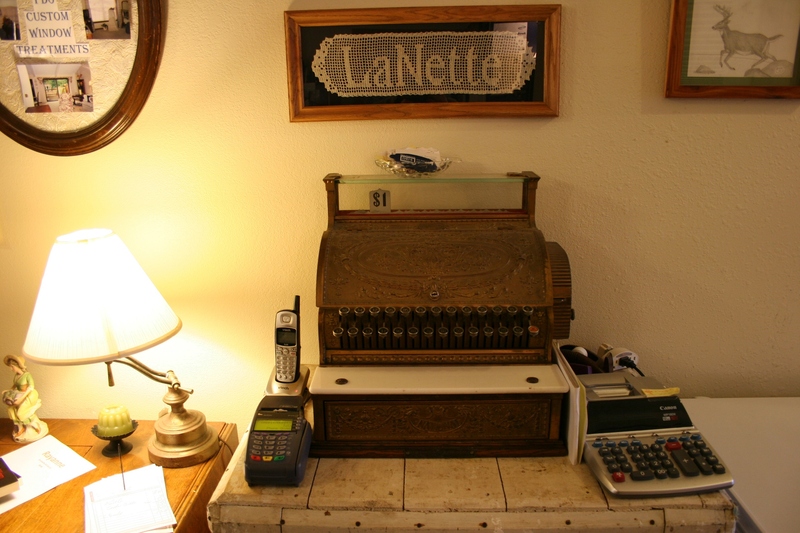 LaNette’s delightful vintage cash register. LaNette is among the array of hospitable shopkeepers my husband and I met on a recent Saturday visit to this south-central Minnesota community of some 3,000 known as The Kolacky Capital of the World, tracing to the area’s rich Czech heritage. The presence of the Czech heritage is so strong here that Montgomery celebrates with an annual summer Kolacky Days celebration, hosts the annual Miss Czech Slovak MN Pageant and is home to a Czech import shop. Cjay’s Czech Imports, 506 Fourth St. S.W. 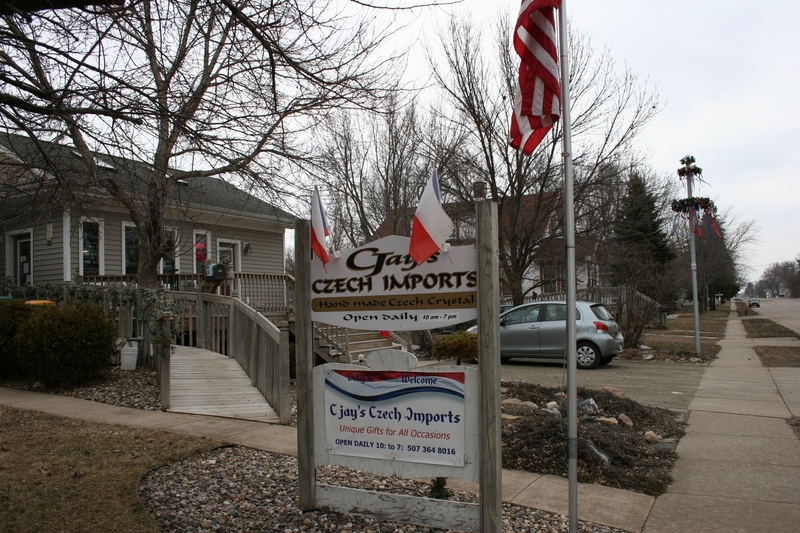 At Cjay’s Czech Imports, we met owner Carol Kotasek, raised by her Czech grandmother and fluent in Czech. You can hear a hint of dialect in her speech, a comforting connection to The Old Country. Beautiful glassware imported from the Czech Republic. Being 100 percent German, and once fluent in Deutsch, I find the names foreign. Carol must spell the names, pointing out the accent marks above consonants. There’s something particularly endearing in this exchange—the spelling of unfamiliar names, the hint of dialect, Carols’ appreciation of fine Czech craftsmanship—that touches my soul. That we should all cherish our heritage with such passion. Caps which are very popular with little girls in the Czech Republic. 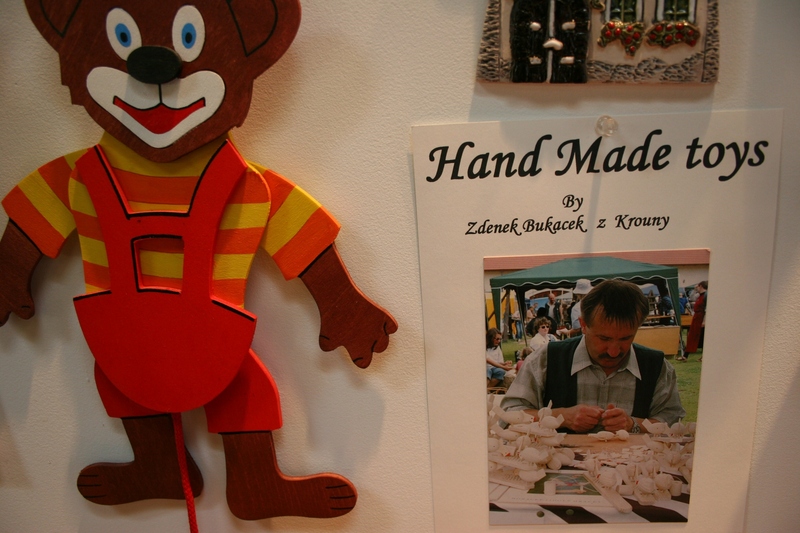 Handcrafted toys and information about the craftsman from the Czech Republic. 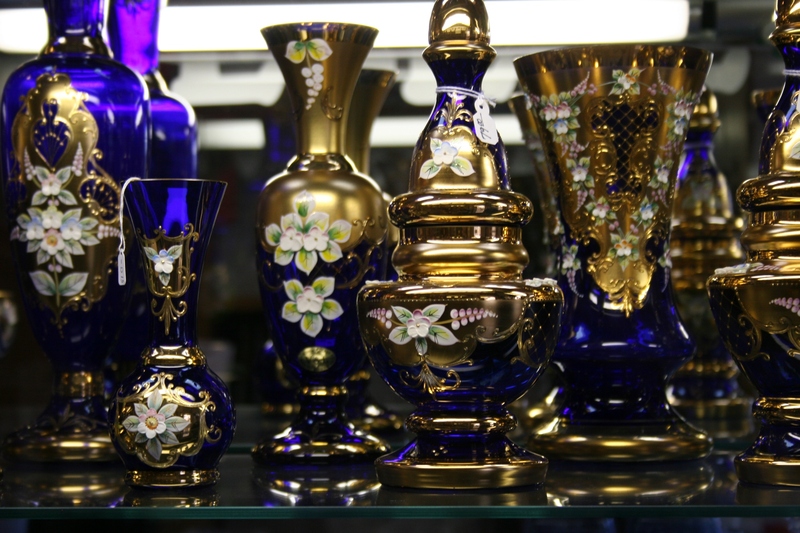 More stunning Czech artisan glassware. FYI: Cjay’s Czech Imports, 506 Fourth St. S.W., is open daily from 10 a.m. – 7 p.m. Click here to link to the store’s website. LaNette’s, 225 First St. S., is open from 6 a.m. – 6 p.m. Monday – Thursday and from 6 a.m. – 3 p.m. Friday – Saturday. Closed Sunday. Click here to reach LaNette’s Facebook page. Please check back for one final post from Montgomery. I’ll take you to a local pizza place and inside a one-of-a-kind museum. If you have not read my earlier posts, go back to Sunday and start reading about Montgomery. Also check my March 4 – 8 archives for stories published after a previous visit. Such a fun looking town! I feel like I have been there without even getting in my car through your posts!!! Happy Saturday! Is there still gown shopping on the agenda today? Yes, leaving shortly for gown shopping. Wish us luck. GOOD LUCK!!!!!!!!!!!!!!! And have fun. Make some memories! The camera and notebook are accompanying me, although I may not be sharing much/anything publicly. A sweet place, that LaNette’s. Wedding dress shopping went well. She found one! Wonderful!!! Check an important item off THE list!! Yes, that’s right. Dress bought. Check. Audrey, you always do such a great job introducing me to places that I’ve never been, and somehow making me feel nostalgic for them. Loved the bakery photos in the last post, too. 🙂 Hope you’re staying warm! Thank you, Emily. 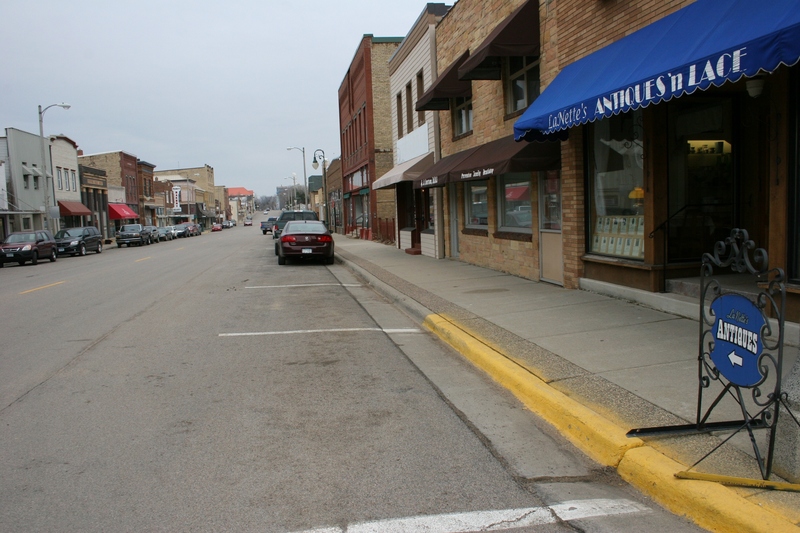 I love introducing readers to places they’ve never been and encouraging them to explore small towns. I can certainly see why you had to have so many parts to your Montgomery visit. Such a neat little town. Seems like a place I would very much like to visit, I’ll have to add it to my bucket list. LaNette’s alone would be enough to Lure me there 🙂 The last photo is stunning! One more story to go from Montgomery, Jackie. Such a fun little town. We have a bit of that Czech glassware we bought in the great Czech neighborhood in Cedar Rapids. We are going over to Montgomery today, if my wife is up to it. Good to hear that you may be heading over to Montgomery. I’ll be curious to hear what you think of the town and all it has to offer. We did go. I surprised my Czech/Russian wife with the import shop and she bought four pieces with a small inheritance we just received. It is my anniversary gift to her, four months early. Two pieces of the blue glassware, none shown in your pix, and two pieces of red just like her grandmother had. 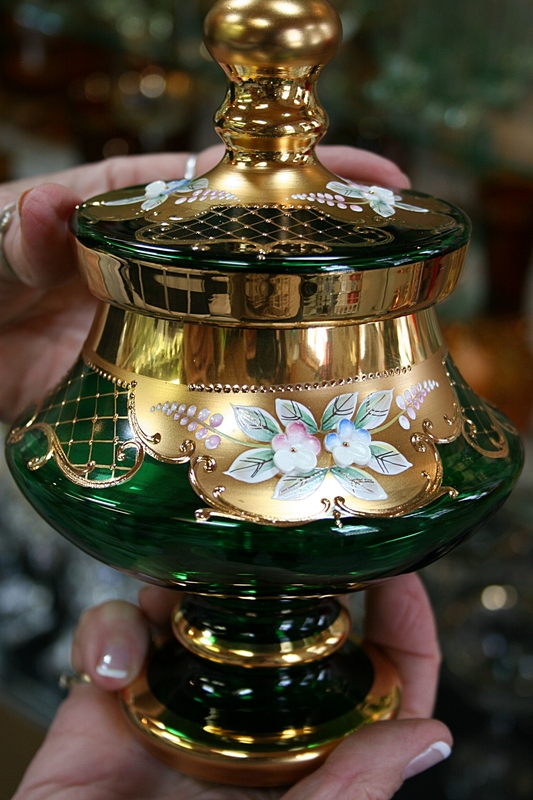 Her grandmother had many many pieces of Czech glassware she brought here with her almost 100 years ago. The prices were unbelievable, literally, because we kept asking her about them. We have seen similar pieces in other import shops for three times the amount. We got a bowl for $29 because of a small imperfection the likes of which we have seen elsewhere from $300. The antiques n place was closed. The peroky (or however they spell it there–it has about fifty different spellings because they are common to many cultures) were all right. My wife’s Russian version are wonderful, much better, as are the Mennonite version. The bakery sells ground poppy seed, which it is simply impossible to buy. It is very hard to grind yourself. Clyde, thank you for sharing your experiences in Montgomery. I am especially delighted that you surprised your wife and with such savings on those pieces purchased at the Czech import shop. I’m surprised LaNette’s was closed, but I suppose she is entitled to the occasional day off, too. All in all, I assume visiting Montgomery was worth your time and drive over from Mankato? Gorgeous glass! Interesting town vignettes! I love that round table – reminds me of my grandmother’s. Aaahhh . . . nostalgia . . . the slow fix. Lots of nostalgic and sweet stuff in so many of these shops. Yup, and Clyde from Mankato (read his comment) bought some Czech glassware from Carol after visiting Montgomery.